Update: It's crap. 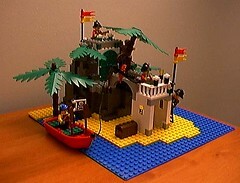 But then again it was my first MOC almost over 10 years ago, just coming out of my dark ages. Was taken with an ancient digital camera as well.